You’ll need a really sharp knife to score the skin and it hangs out in the oven quite a while, but the actual work takes only ten minutes. Serve it with something acidic to offset the richness. You might choose roasted vegetables with lemon juice, but I like wine. Preheat your oven to 165C. Score a cross-hatch pattern in the skin of the belly. In a small bowl, combine all remaining ingredients. Sprinkle the spice mixture onto both sides of the belly and rub it, getting some into the skin scores. 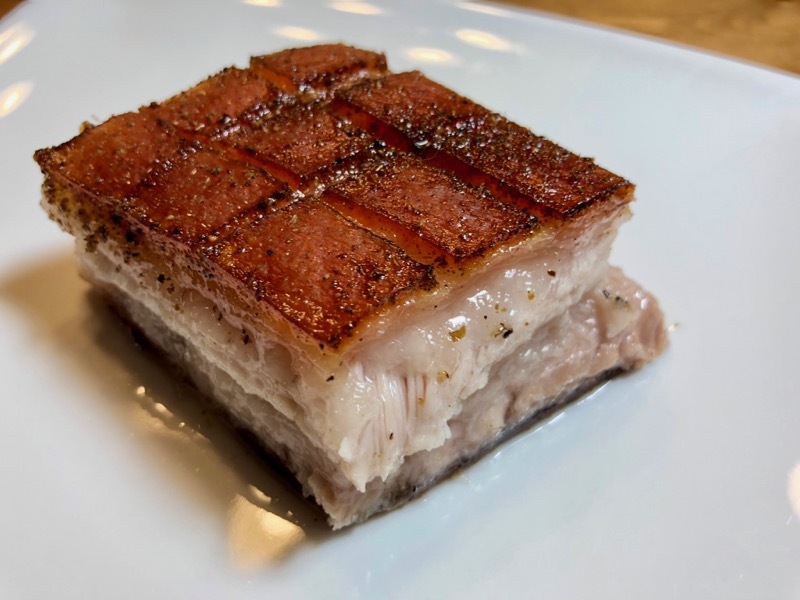 Place the belly skin-side up on a baking sheet or roasting pan without rack and roast until the skin is crispy and the internal temperature is 63C (approximately ninety minutes).